Sometimes it happens that the authorization of some of your Facebook profiles expires and there seems to be no way around it. However, the solution is pretty simple. 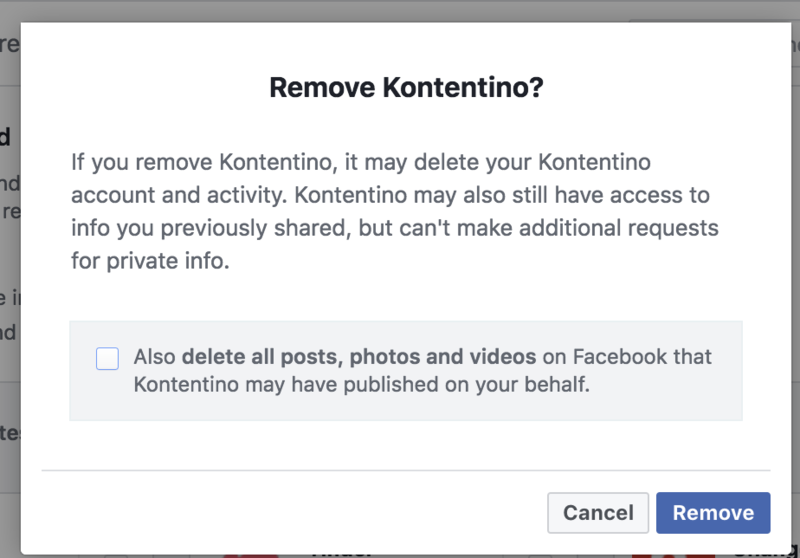 All you have to do is to completely remove Kontentino from your Facebook profile and subsequently login in again and approve all of the required permissions. Confirm the removal. An important note: this does not delete any of the posts you have scheduled on your Facebook pages – this only revokes the future usage of Kontentino. Why do I need to re-authorize my profiles this way? Simply put, it is due to the recent privacy changes on Facebook Platform. 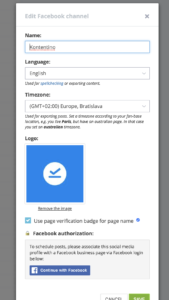 Above all, a few days ago there was another breaking change from Facebook being effective since the 21st of April and it basically said, that if you had not used Facebook login with Kontentino within the last 90 days, your authorization would expire immediately. This means, unfortunately, from now on, you need to re-authorize your profiles every 90 days. Do not worry though, currently we’re developing a solution for you to be able to re-authorize all of your profiles with one click. We’ll provide you with more information soon. What information do I share with Kontentino? 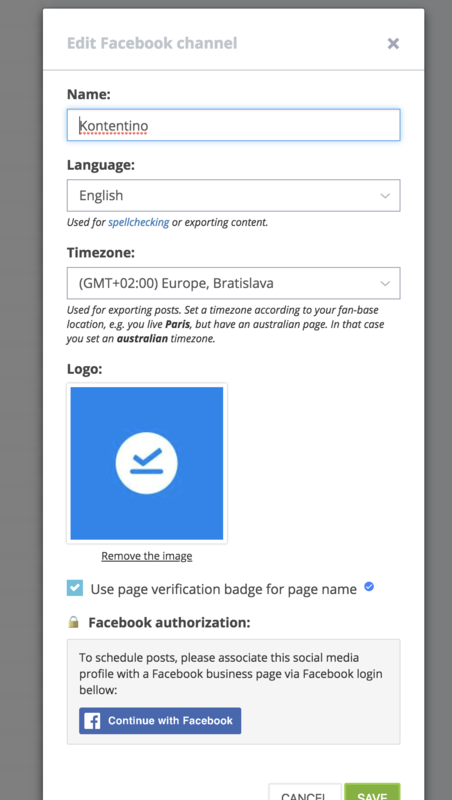 As you may have noticed, in order for you to manage Facebook Business Pages in Kontentino, you need to give an access through a personal profile, that manages those pages. It is highly recommended you allow those permissions when requested, otherwise you will not be able to use the functionality you’re after, for example, you will not be able to use our Analytics & Reporting, audience targeting and so on. Should you have any questions about the topic, reach us through the chat window within your Kontentino account. 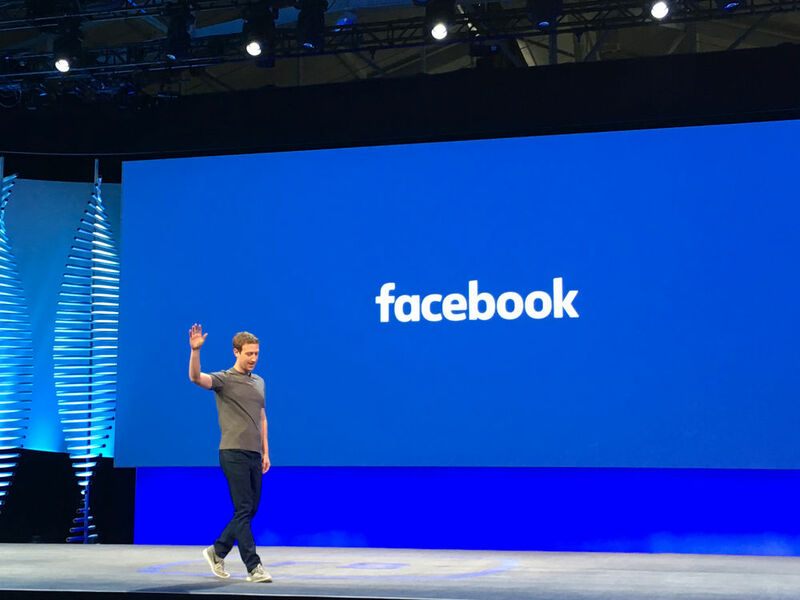 F8 : Is this the end of Facebook as social network?